The non-clinical spotlight series exists to shed light on all of the interesting paths that physical, occupational, and speech therapy professionals have taken. Today’s spotlight focuses on Adrienne Nova PT, DPT, CEEAA, who went from physical therapist to PTA Clinical Director. Where did you graduate from PT school, and when did you graduate? Where did you first work, and for how long? I worked for Infinity Rehab for four years following PT school. The specific facility that I worked at included a SNF, assisted living and independent living. What did you like about that role, and what did you dislike? This was a great first job, and I really enjoyed my older adult patients! I liked the emphasis on functional treatment, and the progress I was able to see from my patients was extremely rewarding. I was able to build meaningful relationships, but it could be sad at times when dealing with end-of-life care. The physicality of the job was both a pro and a con. My Fitbit clocked my steps at three to four miles per day during work! Despite my neuroses on proper body mechanics, I was concerned about the longevity of my career. The grind to meet productivity expectations was also not ideal. I decided to get more serious about clinical instructing, so I signed up to take the APTA’s Credentialed Clinical Instructor Program. 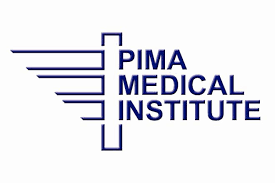 It happened to be hosted on the campus of a local PTA program, Pima Medical Institute, where a few of the excellent PTAs I worked with had graduated. I met with the Program Director to explore opportunities for getting involved with teaching. At what point did you start to consider a role in education? I have always enjoyed school (nerd alert! ), so I started considering education during PT school. However, it was really important for me to get away from this environment and work clinically for a while in order to build confidence and experience. I went straight from undergrad to grad school and was lacking “real life” career work experience. How did you learn of the role teaching at a PTA school? One of the PTAs I worked with connected me with the Program Director, and she educated me on the opportunities available. The current Clinical Director was moving on at that time, so she ended up offering me the position! Did you have to do anything special to your resume/cover letter to land that role? Currently, to be a Clinical Director in a CAPTE-accredited PTA program, you need to be a licensed PT or PTA, have three years of clinical experience, and two years of experience as a CI or didactic teaching in physical therapy. These are things I would highlight on a resume and cover letter. You can see the requirements to be an instructor or program director here. I would also highlight any specialty experience you have. Part of the reason I got the job is because my inpatient and geriatric experience balanced the out-patient expertise of the rest of the faculty. What is a day in the life like during your current role as PTA Clinical Director? What are some of the pros/cons of working in your role in PTA education? Standing in front of a room of students was scary at first, but this becomes second nature after a while, and teaching is so fun and rewarding! PTA students have a lot of enthusiasm, which is very motivating. You really do learn so much by teaching, and getting paid to do this is pretty awesome! The drawbacks are that it can get very busy, depending on where you are in the semester and how many student issues have arisen. The challenges include the stress of clinical placement with last-minute cancellations, and being a mediator when issues arise with students or clinical instructors. Roughly speaking, how does the pay compare to patient care? I was able to make a lateral move from patient care as an experienced PT working in the SNF setting. This is because I took a leadership role. Do you still treat patients? If so, how often? I am not currently treating patients. I have transitioned from patients to pupils! We do have part-time instructors who continue to treat however. Do you have any book or podcast recommendations for us? I would recommend reading Big Magic by Elizabeth Gilbert, author of Eat, Pray Love. It is about her creative process, and about not being afraid to try and make something new happen! The link below is an affiliate link. If you purchase the book through this link, I will make a small affiliate fee. This in NO way affects how much you pay for the book. All proceeds I made through affiliate links go directly into providing more free content on The Non-Clinical PT! Any special words of advice for rehab professionals considering a career in physical therapy education? Network! A great place for this is at courses or conferences, or online! Meeting Meredith and discovering the TNCPT community helped me confirm that it was not an accident that I am where I am, and gave me the courage to pursue my next venture: health writing! If you are intrigued by the idea of becoming a PTA instructor, start by volunteering to be a clinical instructor for a PTA student. Do some research on the area PTA programs, and offer to be on one of their community advisory boards. Finally, read my article on the TNCPT here to learn more about this exciting non-clinical career opportunity! Thanks for your insight, Adrienne!